WE HAVE heard stories of love that lasts for a lifetime. These are couples who are not even perfect in showing their love every single day but are making extra effort to show that love does not grow old like they do. This means that going out on a dinner date is an activity that is absolutely not solely for young couples. Along with the development of the city are rising number of options to choose from in terms of restaurants. “Where to eat?” is not a problem anymore because the most coziest and romantic restaurants are all over the place. Limitless has been known in Davao City as a homegrown catering business and now in their newest branch along Talisay St. Juna Subdivision, Matina, they will also be offering café services for avid Dabawenyo customers. This season of love, the newest branch is a good place to book your dinner date because it offers more food options with buffet price that starts at P299. Booking will not be difficult as it could cover around 200 guests who wish to indulge at the buffet café. 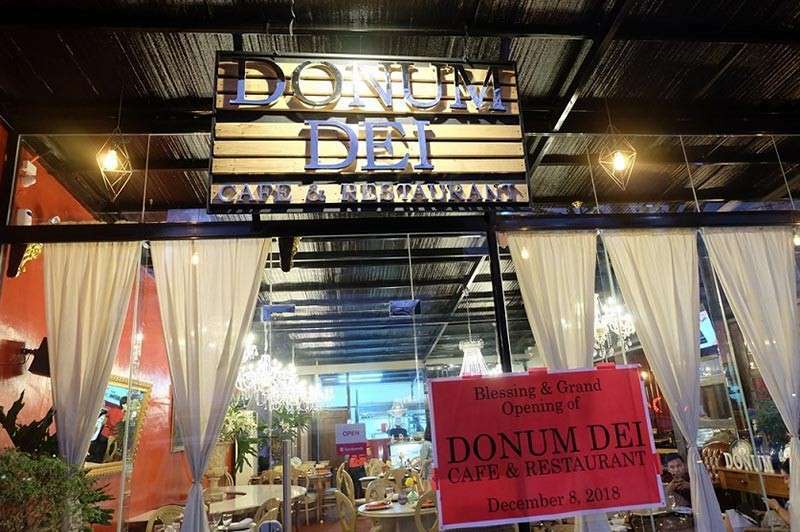 Couples who are on the lookout for some authentic Filipino dishes but also want to chill over a cup of coffee at an affordable price would want to consider Donum Dei café and restaurant for their dinner date. This is also a great choice for those who want a relaxing, cozy ambiance and affordable and quality food. The place has a new dining spot in town which recently opened in front of E-1 University Avenue, Juna Subdivision, Matina, Davao City fronting Philippine Women’s College (PWC). For decades, this restaurant has been serving the Dabawenyos with good food. The taste of its classic dishes remains the same from the one that the people have grown to love. Many couples probably have outgrown this place and a dinner date with family would be nicer this Valentine’s Day. Spend your day at their main branch along Magsaysay Avenue or at their newest site is located near Matina IT Park along Gen. Douglas MacArthur Highway, Matina, Davao City. This restaurant assures to give the best Valentine experience for friends, couples and families who would celebrate the season of love together. A six-course meal fine dining will be offered specially for the love season with very affordable and reasonable price.